A wee while ago now... perhaps just over a year or so?... I happily signed up to test patterns for Juliet @ Tartankiwi's first sew-along. If you've been here before you'll know I'm a big fan of Juliet's work and feel lucky to call her my friend. Bonus all round! The various ways of interpreting this collection into a quilt is huge - so many options and possibilities! I decided on a combination of Liberty florals and different hues of blue Sketch. And I can happily say it has turned out pretty much the way I saw it in my head. I got stuck in and about a third of the way through ran out of fabric... so with great restraint (hahah!) I added some new Liberty to my stash... and of course Sketch. 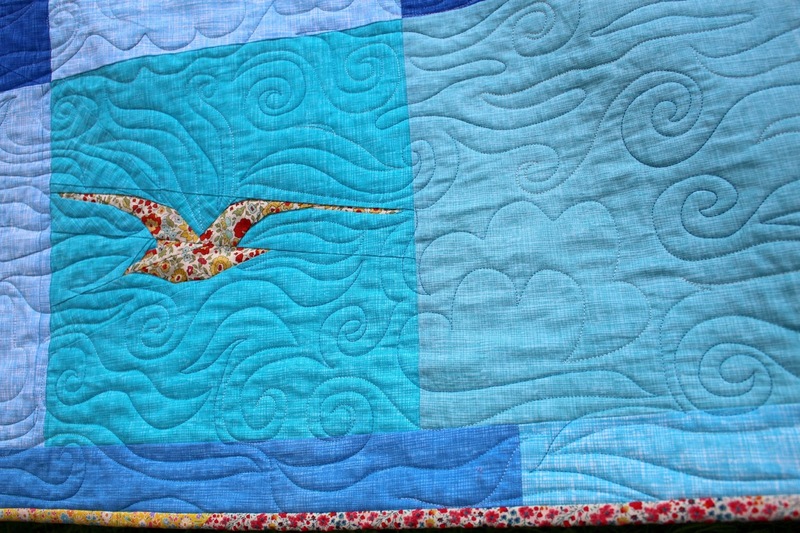 The blue has been severely depleted and there are literally scraps left... and there are a couple of non-bird blocks that have a join or two. But we made it! I found the backing fabric rather unexpectedly at a local fabric shop in New Lynn while doing an emergency dash for some cotton. It was love in all it's blue flowery perfection. 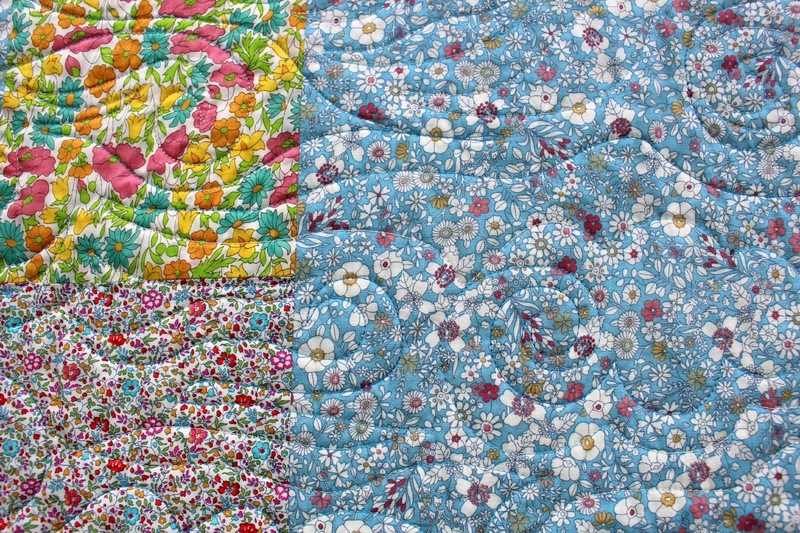 If memory serves it was sent off to Leeanne for quilting in December last year. In January we got the news and Leeanne was generously able to squeeze it in before we left! Such a legend - thank you!! It arrived two days before we flew out and went onto our bed when we moved in to a house here. As with Juliet's patterns they are well written, constructed and a joy to sew. Doing the 24" blocks for the first time was a bit of a challenge... but the results... delicious. 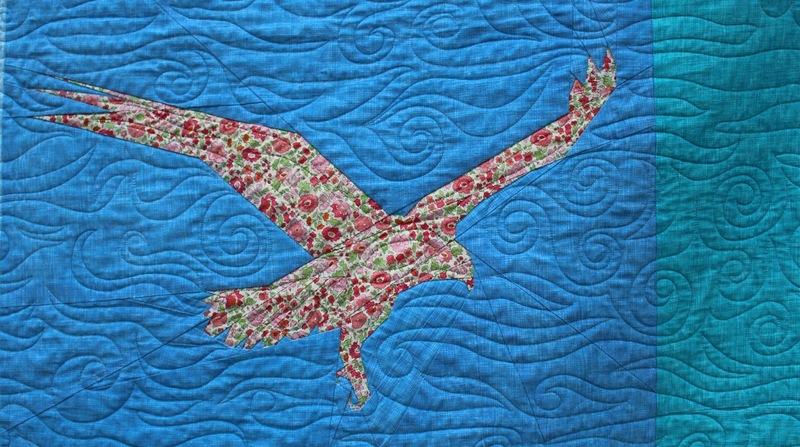 She really captured the movement of the birds and they truly do appear as if "In Flight". 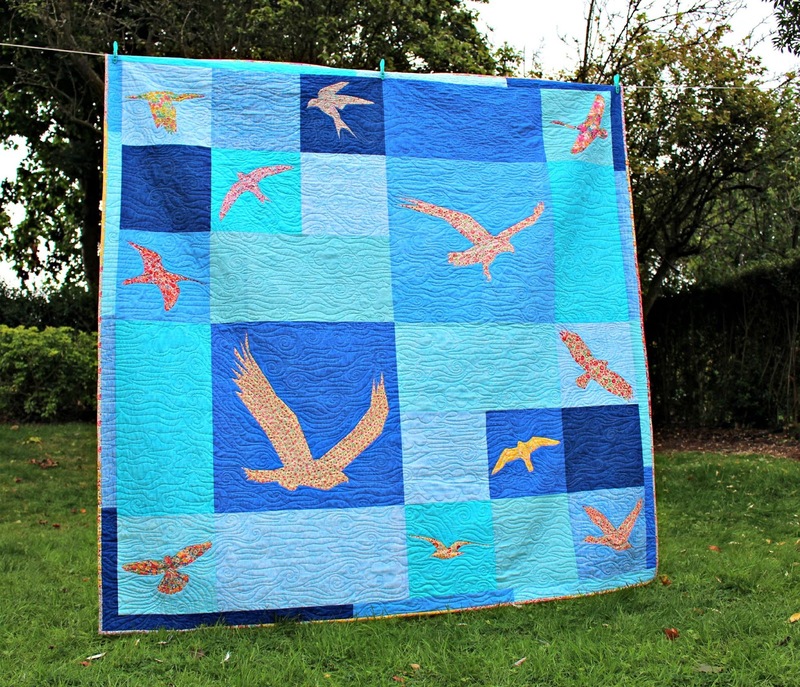 Leeanne did a stunning job of quilting it and the swirls and clouds add to the effect of the birds moving through the sky. 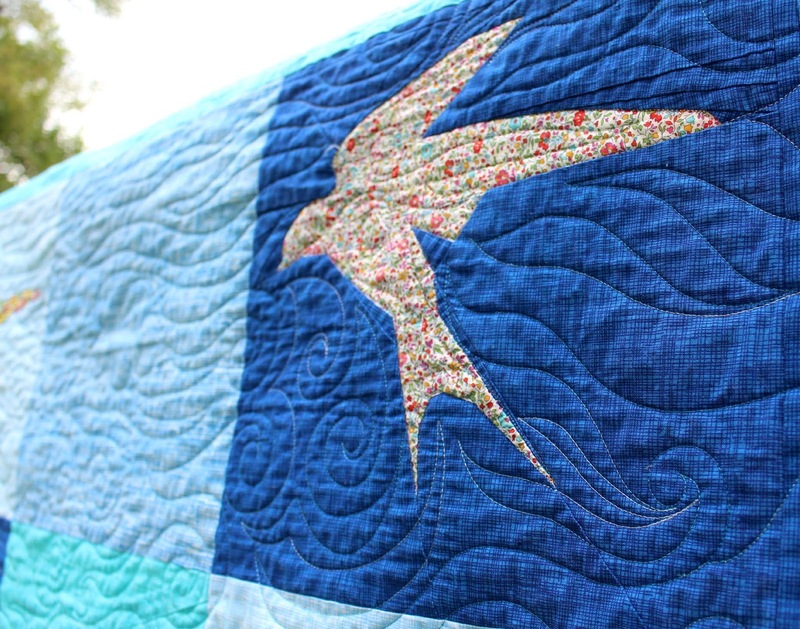 There is also quilting detail of outlines and feathers within the birds too. Really hard to photograph with all those flowers but oh so lovely. 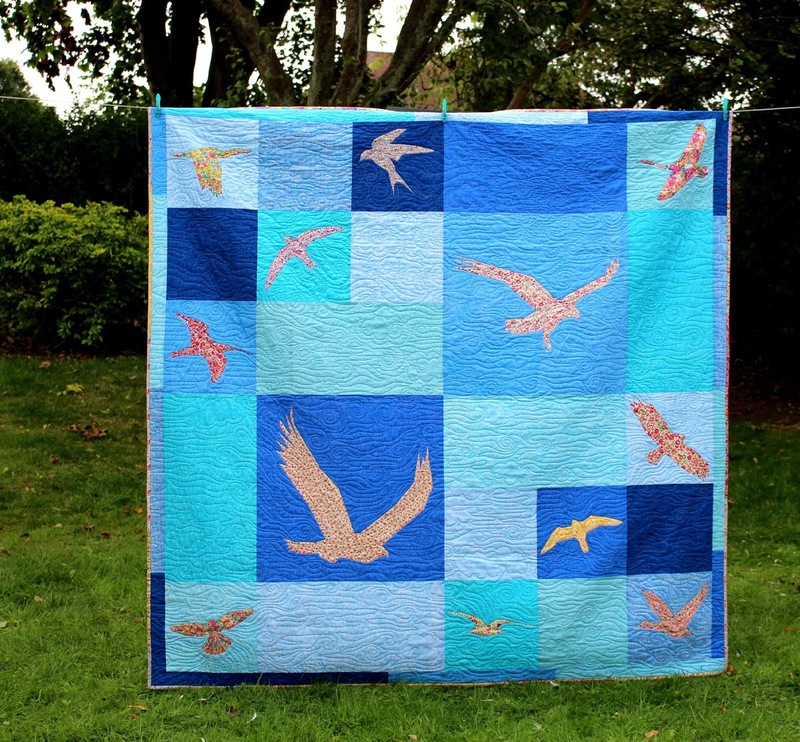 This quilt was completed to one of the original design layouts. Since then the range of birds have expanded and so have the layout options. There are three additional birds that now form part of the collection, along with an alternative seagull pattern, and many of them come in varying sizes too. 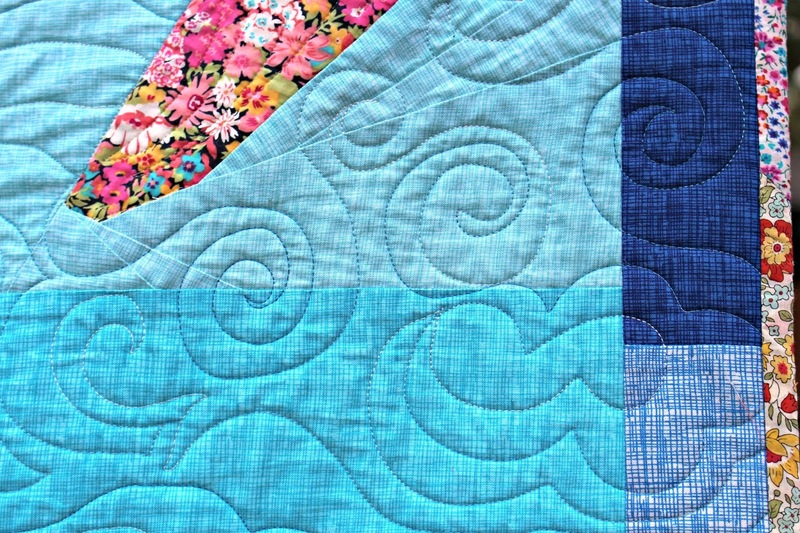 All these elements add huge scope and possibilities to the design of the quilt. Working on a larger scale project like this was a great learning opportunity. 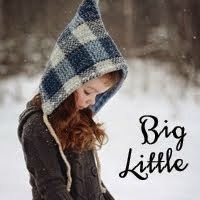 The size of the blocks, the scale of it overall, fabric selections, little details and the bigger picture. I always enjoy working with Juliet and to be able to help with this project was humbling. It has been lovely to see the patterns being released over the year and all the various interpretations thereof. I think the sew-along is about to conclude and it will be fun to go and see other completed projects. Head on over to have a look, and of course Juliet's own gorgeous one! 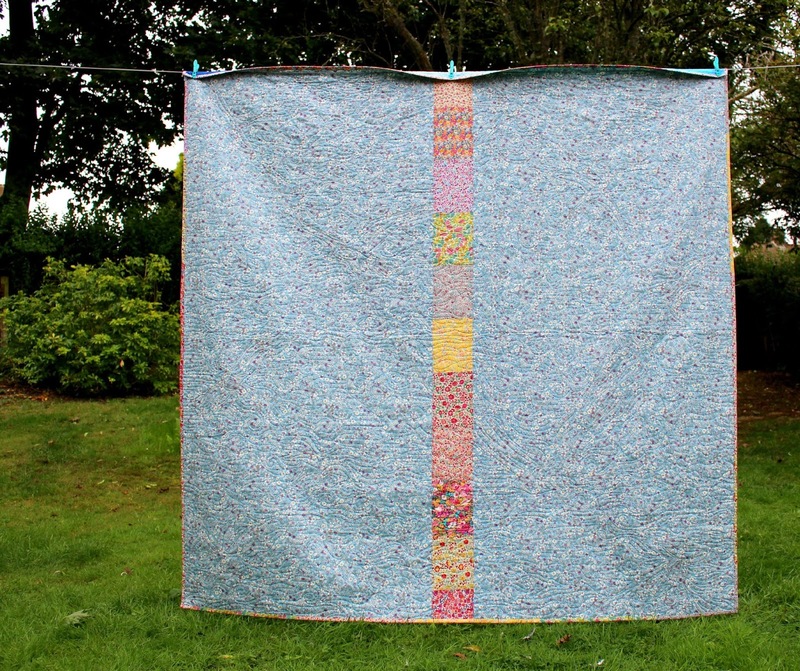 It is a lovely big quilt and has been in use since March - first without binding and for the last few months, with binding! It reminds me of many things, times and places and helped make our room feel like home. One of the joys of quilts. Just gorgeous! 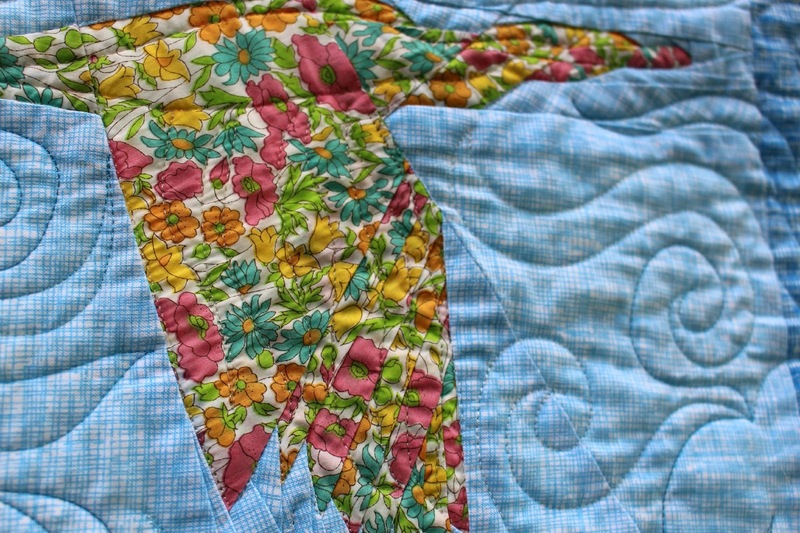 I never would have thought to use the floral fabrics for the birds but it looks spectacular. I love Juliet's patterns as well. It's SO stunning! So nice for you to have one of your own quilts on your bed too.